Landlords are often asked to give references on their former tenants to other landlords. And if you’re a landlord, you’ve probably asked for plenty of tenant references of your fellow landlords. It’s an important part of screening tenants before you sign a lease. You may be surprised that a tenant who has paid rent late or caused damage would ask you to provide a reference, but it happens all the time. Here are a few tips for when you’ve been asked to provide a reference for a tenant you don’t particularly want to recommend to another landlord. Some landlords are completely straightforward with their fellow landlords, telling them honestly about all the tenant’s bad and good habits. Other landlords offer only answers to specific questions. If a particular topic isn’t brought up, they are not going to the one to do it. Still others will only say whether or not they would rent to the tenant again. Keep it professional: Keep your personal opinions out of the conversation. Offer only facts, and let the new landlord decide whether or not he or she will rent to your soon-to-be ex-tenant. Consider asking tenants to sign a release that authorizes you to share information with a new landlord. Let the tenant know that you will only offer information that can be backed up by documentation. In some areas, you might be subject to lawsuits for releasing negative information. If you need to know for sure where to draw the line, consult an attorney before you say anything. That said, you can most likely avoid trouble by being honest, providing only facts and no opinions, and knowing you can back up the facts with documentation. For many landlords, just sticking to the “Would you rent to this person again?” question is the best way to go. What Deductions Can a Landlord Take From a Security Deposit? As a landlord, you must cover your expenses of the maintenance and repairs you perform between tenants. If you or a tenant ends a lease, it is your right to make appropriate deductions from his or her security deposit to cover all damages or extra cleaning required to return your rental property to the condition in which they found it. •	Excessive dirt, grime and stickiness, on countertops, floors, etc. However, landlords may not deduct money from a tenant’s security deposit to cover ordinary wear and tear. To facilitate the return of a tenant’s deposit, set up a move-in checklist and inspection for each tenant, and compare it to a move-out inspection and checklist. Conduct the move-out inspection with your tenant, and indicate which items need to be replaced or repaired. Get the tenant’s signature to prove they were present and agree to the list of damages. And don’t forget that you’ll avoid disagreements over security deposits by being reasonable—cover your expenses, but don’t gouge your tenants. Is it Worth It to Rehab a Rental Property? Landlords approach apartment or rental house rehabs differently. Some think that no matter what they do, tenants will damage their rental property, so there is no reason to upgrade or make it look nice. Other landlords invest in major improvements to their properties in order to charge higher rents and attract higher-income tenants. Still others make small improvements each time a tenant moves out, to slowly but surely increase the appeal and attract the best tenants. You can turn over the rental to a new tenant more quickly. You avoid the possible frustration of seeing improvements damaged or ruined by tenants. You probably won’t be able to increase rents unless vacancy rates decline. You could easily find your rental property losing value. You may attract only tenants who are okay with living in less-than-attractive housing. The result is usually worth the effort. You can often charge a premium rent to increase your return on investment. You can attract more desirable tenants. 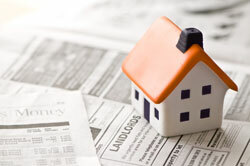 The value of your rental property may increase. Remodeling can be very expensive. There is no guarantee your work will be valued or respected by tenants. 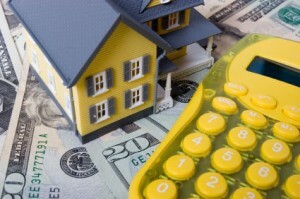 Your rental property value may not increase, due to current market conditions. Your investment is spread out over time. You may increase the value of your rental property. You can gradually improve the quality of tenants your attract. It can take much longer to see real improvements. You may not keep up with the market at a slower pace. There is risk in subjecting your property to less desirable tenants for a longer period of time. Remember, attracting desirable tenants is a worthy goal, but it’s not for every landlord. If you’re fine with minimum investment in your rental property, just beware of starting down the slippery slope to slumlord status! No matter how nice your rental property is, you can’t be sure that tenants are going to keep it that way. Minimize your risk by conducting tenant credit screening and tenant criminal background checks. New York City is known as a tough place to be a landlord, with tight rent controls; it’s also a tough place to be a tenant, with tiny apartments at sky-high rents and plenty of competition for even an eighth-floor walkup with a nice view of a brick wall. The vacancy rate in Manhattan is near zero, so landlords can be as choosy as they want. If you’re a landlord in the rest of America, you might be surprised to see the typical paperwork a prospective tenant in Manhattan must produce in order to be taken seriously. While most landlords like to see pay stubs and references, and will run a tenant credit check and background screening, New York landlords require a gross income between 40 and 50 times the monthly rent. In addition, they will likely ask prospective tenants for bank statements, tax returns and proof of employment. What else should the tenant be expected to produce on the day they view an apartment? A check for the first month’s rent, the security deposit, and a broker’s fee of 8 – 15% of an entire year’s rent. Without all the paperwork and high enough income, would-be tenants can kiss an apartment goodbye. Of course, paying several months’ rent up front can ease that situation, as well as help tenants relocating from overseas secure an apartment without an established credit history in the U.S.
Another option for tenants is to contact a lease insurance company. For a fee of between 75 – 85% of a month’s rent, the firm will cover a tenant’s rent if they stop paying and the landlord obtains a judgment. No matter where you own rental property, why not be as careful as Manhattan landlords, and ask tenants for more paperwork than you think you need? You could end up with better tenants than you expected! In Seattle, Wash, the Public Utilities Service, which provides residential water, sewer and garbage service, is putting an end to tenant accounts. Starting July 15, all water bills will go to the owner of the property. Other utilities in Seattle, such as electricity, gas, cable and internet, are all available directly to tenants, paid by tenants in their own accounts. So why the change in the water/sewer/garbage service? The SPU also stated that the cost of maintaining approximately 20,000 tenant accounts should be shifted from the rest of the account holders to the landlords. As tenants close accounts when they move to another residence or out of the area, the SPU will automatically activate a new account for the owner of the property. The account will remain in the owner’s name from then on. Will tenants waste water, knowing they won’t be receiving a bill? How will landlords charge tenants for water, sewer and garbage, since the bill will fluctuate depending on use? What about tenants who qualify for utility discounts or assistance? How can a landlord determine how to set the rent at a rate that will cover the water bill? And what about the tenant whose landlord stops paying the water bill? The SPU indicates that there is no “hard evidence” that tenants will waste water if they don’t get a bill. But in reality, people tend to use an “out of sight, out of mind” approach to most things in life—utility bills included. The biggest detriment to using too much electricity, water and telephone minutes is receiving an unusually high bill. Who doesn’t remember their mom or dad shutting off all the lights the day after the electric bill arrived? It looks as if landlords in Seattle have one more headache to deal with. 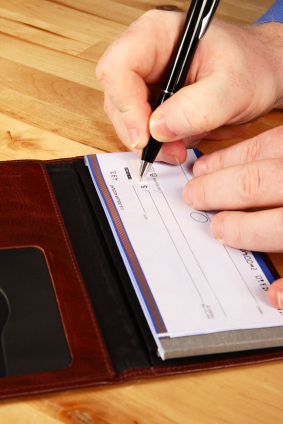 Did Your Tenant’s Rent Check Bounce? Whether you accept actual checks or electronic rent payments from your tenants, you may face a time when the tenant lacks funds to cover their payment—and your account is hit with a fee. Bounced checks cause loss of time and productivity, and landlords should not allow tenants to treat a returned rent check as anything less than the serious situation it is. How do you handle bounced checks from your tenants? Many landlords we know demand immediate full payment from the tenant for the rent, any applicable late fees, and a separate handling fee. The handling fee should cover both your bank’s returned check charge and your administrative time. If the full rent payment comes in after late fees have been assessed, be sure to add them to the total due. 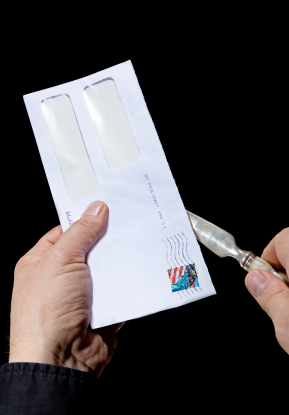 Check your local and state laws regarding the amount of late and returned check fees you can charge. 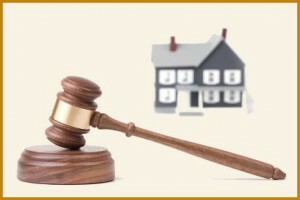 You may be able to charge a tenant penalties and interest; or you may be limited to a flat fee. In addition, check local and state ordinances or with a landlord/tenant attorney regarding whether late and returned check fees must be spelled out in lease agreements. In some states and localities, fees must be clearly stated in the lease or the landlord may not charge them. In others, whether or not the lease includes the fees has no bearing. Of course, including all applicable terms and fees in the lease is always a good idea. 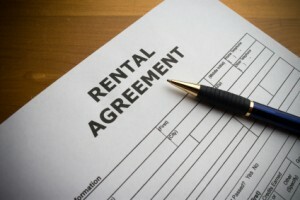 If your lease clearly spells out the consequences for bounced checks, including late fees, repayment requirements and time limits before eviction proceedings begin, your tenants should have no questions or surprises if and when they do write a rent check without having sufficient funds to cover it. Most landlords we know require each person over 18 who lives in a rental unit to be on the lease. 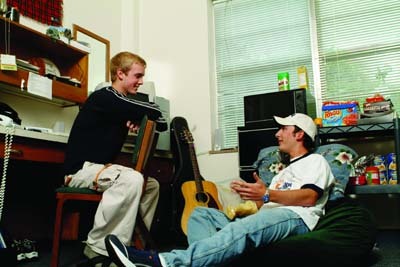 Most require each roommate to fill out a lease application, and undergo tenant background and credit checks. And that’s the extent of involvement for most landlords we know. Roommates don’t always work out, which can cause headaches for landlords. If you’ve experienced your share of roommate drama, you can help educate your tenants to be better roommates—which in turn can make them better tenants for you. While the agreement will not alter the terms of the lease each tenant is subject to, it serves to clarify some of the issues roommates often have with each other. Be sure that the agreement states that the roommates are jointly and severally liable for all terms of the lease/rental agreement. And of course, have a legal professional review it before you hand it over to your tenants. Address of rental unit and lease beginning and ending dates. Name of each roommate, share of rent and security deposit each is responsible for, and which bedroom is his or hers. Security deposit rules: an agreement that whichever roommate is clearly responsible for damages will pay any applicable fees in full. All roommates agree to share equally in the cost of other fees and damages. Utilities: Determine in whose name the utilities (electricity, water, gas, cable, phone) will be and how the roommates will split and pay the bills. Subletting: State whether subletting is or is not allowed under the terms of the lease. If so, specify guidelines. Guests: Specify that each roommate is responsible for guest behavior, determine where each guest may stay, and the consequences when guests cause trouble or any damages. Place a limit on the number of days a guest may stay, according to the terms of the lease and the roommates’ comfort level. Specify whether guests may smoke and who is responsible for cleaning up after them. Quiet hours: state when roommates agree to observe quiet hours for sleep, study, etc. Pets: Guidelines for pet owners, according to the terms of the lease. Smoking: If the lease allows smoking, this section can spell out whether or not it is allowed by the roommates, and if so, where. General household rules: State who is responsible for trash and recycling, where to park vehicles and bicycles, guidelines for cleaning, sharing food, etc. All roommates should sign and date the roommate agreement. While these guidelines may seem obvious, a formal agreement where all terms are spelled out and agreed to in the beginning can avoid many typical roommate problems. Good roommates make better tenants, and accepting the responsibilities that go along with living together can make the situation much more pleasant for everyone involved! While a lease agreement and landlord/tenant relationship is a strictly business arrangement, landlords sometimes have to deal with a tenant’s personal problems. Loss of a job, a need to break a lease and move to another city, and other life situations cross the line into a personal nature. When tenants have protective orders against spouses, partners, or acquaintances, the landlord may not even know. However, when the other party violates the order and enters the rental property, problems can ensue all around. One tenant in California was faced with eviction when her husband, from whom she was separated, threatened and stalked her at her apartment. Police were called and the tenant obtained a restraining order, but the property manager informed her she needed to move to avoid upsetting her fellow tenants. In California, and most other states, a protective order protects tenants from repercussions such as eviction. Domestic violence that has been documented, as in this case, is not a reason for terminating a lease. But what if the tenant had allowed the stalking troublemaker onto the property? That’s another story. If the tenant is voluntarily subjecting other tenants and the property to possible harm by allowing a dangerous person onto the premises, eviction may be warranted. Under Federal guidelines for Section 8 owners, landlords may not refuse to rent to an applicant solely because he or she is a victim of domestic violence, dating violence or stalking. Nor can the tenant be evicted, even if criminal acts (such as property damage) related to the domestic or dating violence or stalking, are caused by the tenant or a guest. There is an exception for cases in which there is an actual or imminent threat to other tenants or employees of the property if the tenant is not evicted. Many states follow the federal guidelines, but if you need guidance on a situation, it’s best to check with a local law official or landlord/tenant attorney for advice. It’s not easy to be privy to the personal problems of tenants, but at times a landlord can’t avoid it. It’s important to know what is and is not allowed when dealing with legalities such as restraining orders.